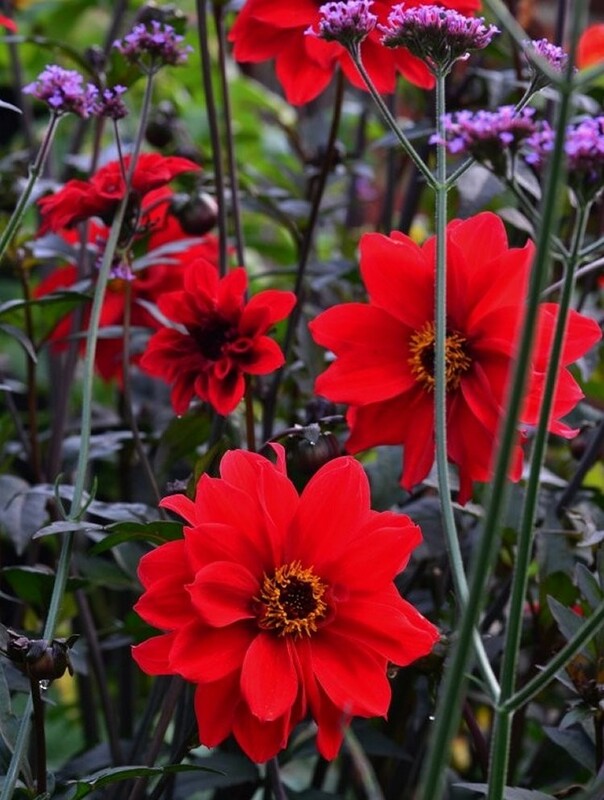 Rated as one of the best dark-foliage, clear red-dahlias available, semi-double Bishop of Llandaff is an old-variety dating back to the 1920's but remains one of the best and most popular available today. 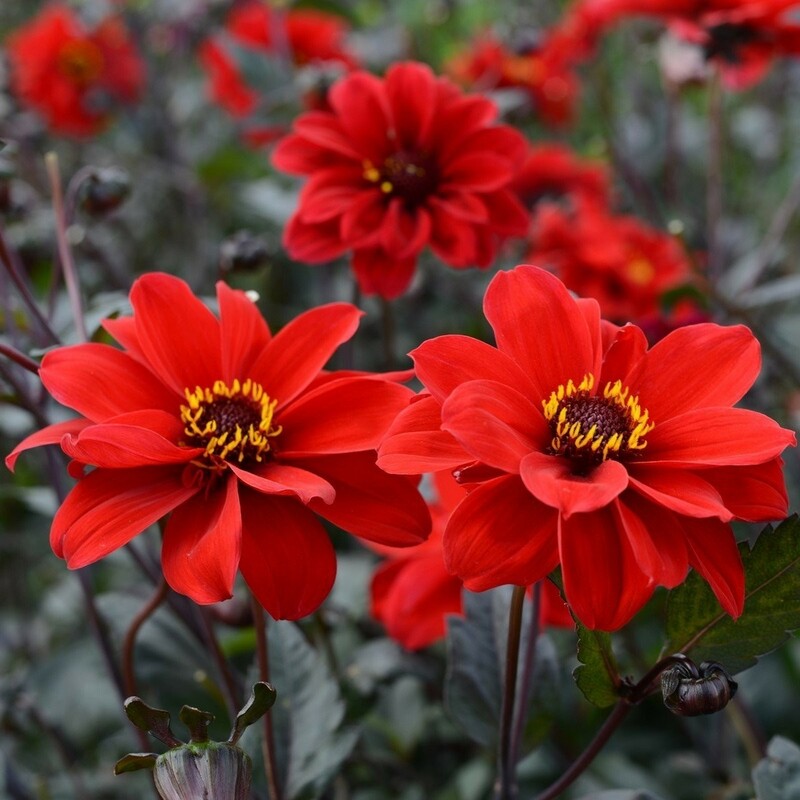 Striking, semi-double, bright vermilion-red flowers from July to September and deeply divided, dark deep bronze leaves. 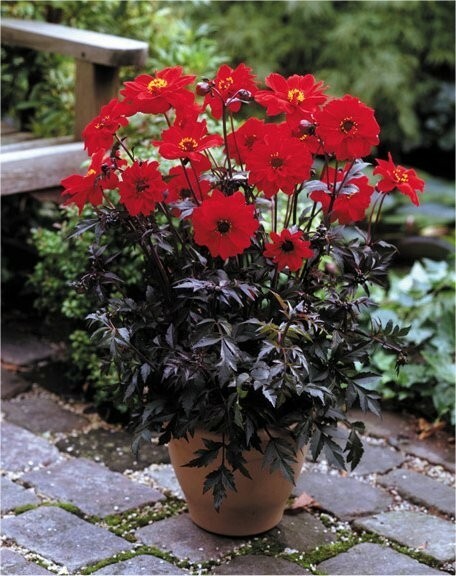 This popular, peony-flowered dahlia requires a sunny site with fertile, humus-rich soil. Perfect for a planting scheme based on 'hot' colours combined with plants such as crocosmia. Traditionally a tender perennial it will do best and even come back after winter when planted deeply and well mulched. It is also perfect for making a bold statement in patio planters. We like it mixed with Verbena bonariensis for something very eye catching and different. Supplied as a strong growing plant in approx 2-3 litre containers, full of buds and flowers in season.